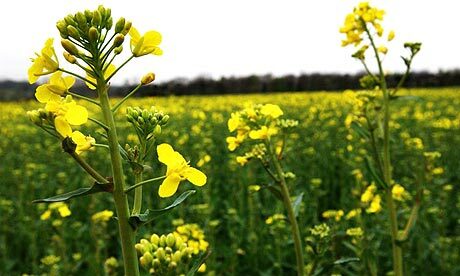 (G-UK) – The consequences of contamination between GM crops and non-GM varieties will be much more serious with the next generation of GM crops, an influential group of US scientists has warned. Mixing between GM and non-GM varieties has already caused serious economic losses for producers in lost sales and exports. But the consequences of mixing will be much more serious with new crops that are altered to produce pharmaceuticals and industrial chemicals, the scientists argue. The crops could harm human health and be toxic to wild animals. “What would be the impact societally, economically if for example, cornflakes were contaminated by some sort of drug or chemical? I think it would be a vast impact economically,” said Karen Perry Stillerman, senior food and environment programme analyst with the Union of Concerned Scientists. The group presented its findings at the American Association for the Advancement of Science conference in Boston. Up to now, commercial GM varieties have been restricted mainly to modifications for herbicide tolerance or resistance to pests. But a huge research effort is going into a new generation of crops that are genetically modified to produce drugs, hormones, vaccines and industrial chemicals such as the precursors of plastics. Although public opinion in Britain and the rest of Europe remains firmly against GM crops in general, it is more favourable to crops with medical benefits. But the Union of Concerned Scientists said that these are precisely the crops that pose the greatest risks if they exchange genes with wild relatives or conventional versions of the same crop. So-called “pharma crops” can offer advantages over current methods of drug manufacture. Vaccines produced this way could be grown cheaply in developing countries and simply given to patients in the food. That would remove the need for sterile needles and refrigerators to keep vaccine doses cold – a major obstacle for delivering therapies in poor countries. There have been a handful of examples in the US and elsewhere of genes from GM varieties not cleared for human consumption getting into nearby food crops and hence the human food chain. This has led to major economic losses for producers in lost sales, exports and clean-up costs, but there have been no proven cases of damage to human health. “With the products we are talking about, there’s the potential for that to be much more serious than what we have seen so far,” said Prof Robert Wisner at Iowa State University. According to Gepts, most of the ideas for keeping crops apart are inadequate, because pollen and seed are carried on the wind, by animals and birds and on farm machinery. He said the only way to be sure that food crops would not be contaminated by drug genes or genes for industrial chemicals would be to use non-food crops such as tobacco. Alternatively, GM food plants could be grown in greenhouses or underground to prevent pollen escaping, he said. The Union of Concerned Scientists is calling on the US Department of Agriculture to ban the growth of GM pharma crops outdoors unless they are species that are not eaten by people or livestock. The USDA is currently putting together new guidelines on GM that are expected to be completed by the end of the year. Currently, no GM crops that produce industrial chemicals or pharma crops are grown commercially, although there are some field trials under way in the US. Similar issues will apply in the UK and Europe if pharma crops are approved. So far, though, only a handful of GM crop varieties are grown in Europe.